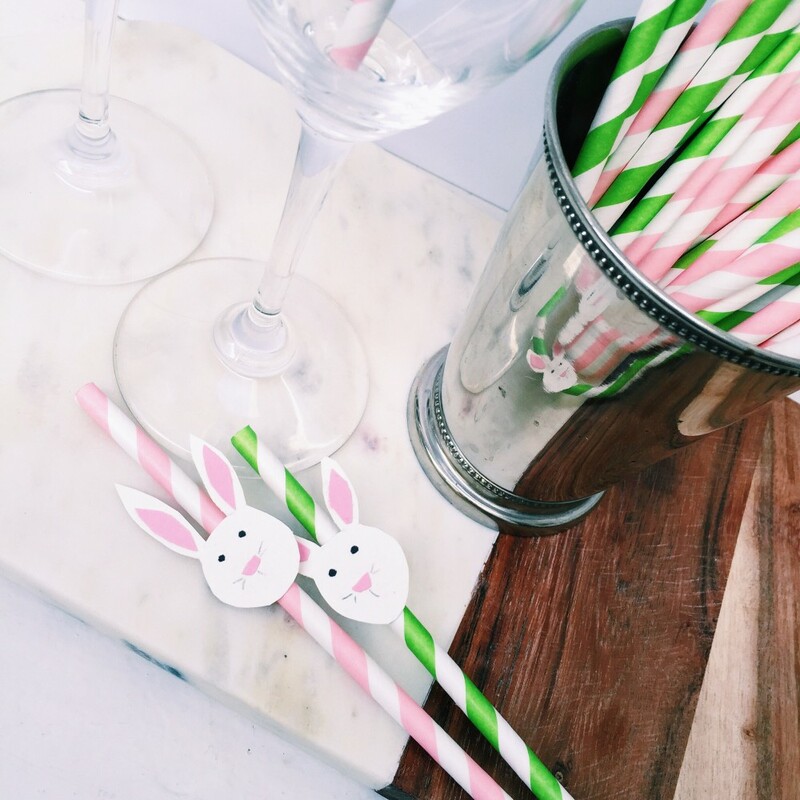 I think we all deserve a little extra perk of Spring-y goodness in our Easter celebrations this weekend after the winter that we’ve had, right? 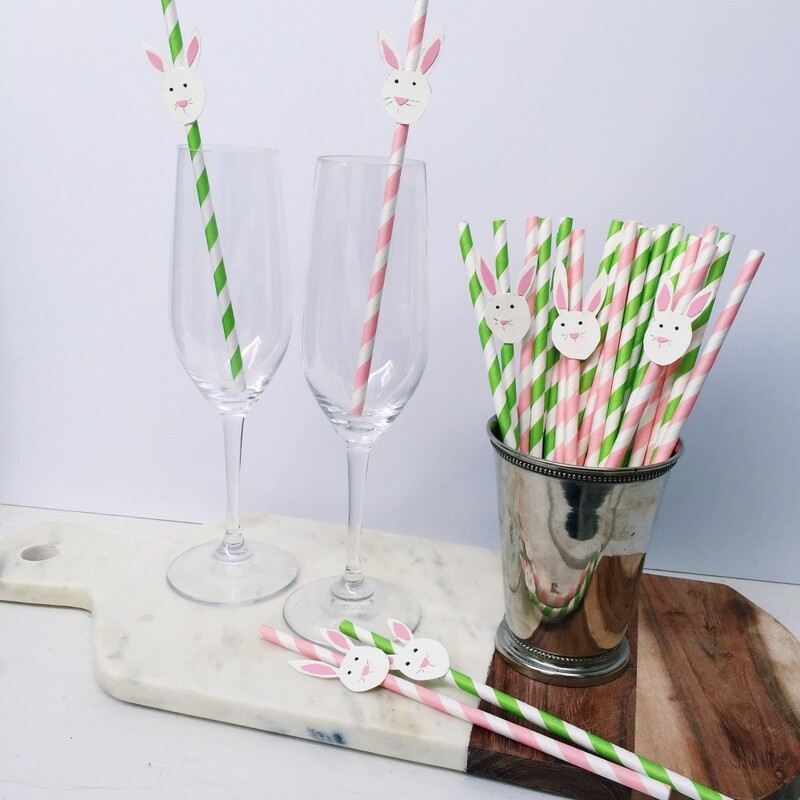 So I thought up a fun party detail: bunny straws! 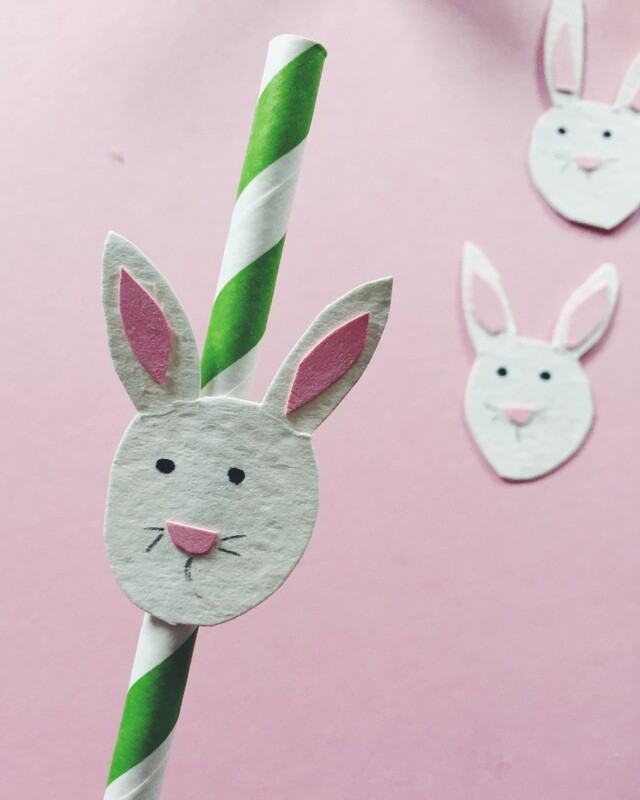 The assembly is simple: cut out a small white outline of a bunny head; using a glue stick add on small nose and pinks of the ears. Finish them off with a hand drawn set of eyes and whiskers. 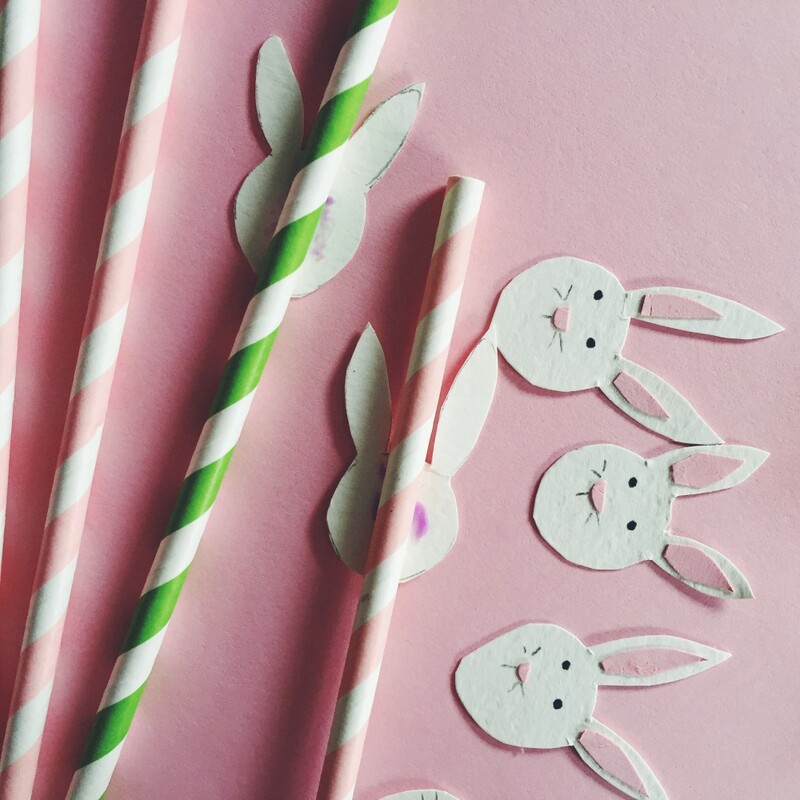 Then glue the bunnies right to the striped straw (I chose pink and green ones! ), leaving enough room so that they’ll pop out of the glass, but don’t touch the top of the straw. I can’t wait to pop these cute little guys into a mimosa this weekend! Blog Slackers and Tomatoes. Funfetti Cheesecake Bites. 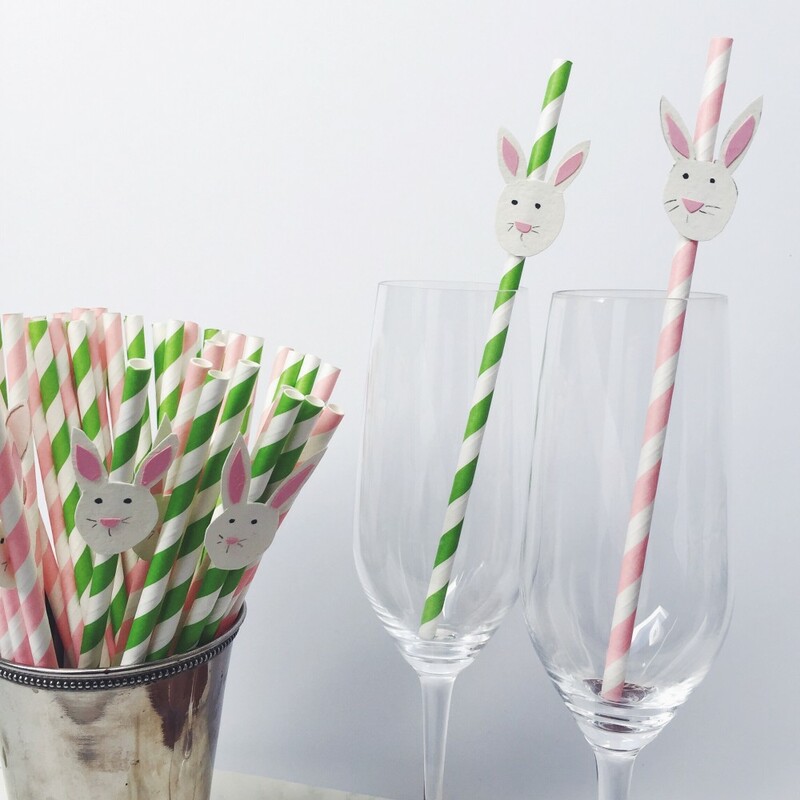 3 Responses to "Bunny Straws." THESE ARE THE CUTEST could you get more creative? !